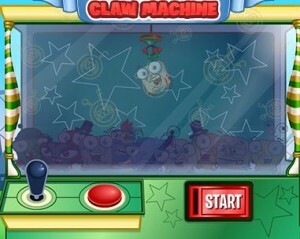 The Claw Machine on Binweevils found in the Summer Fair is one of the most popular games to earn cool prizes. Well, it has gotten even better now because Binweevils is adding more prizes to the fun game. The rumor came from Gott himself and he said that the Claw Machine is due for some new collectible plush toys! There are a total of 26 plushies that you can collect, so that means that another 10 new ones will be available soon. Gott is talking mad smack and says he will collect them all before any of you guys will. I guess we will have to see about that. Let us know how many you have already collected by leaving a comment below! Good luck my friends and have fun collecting the new Binweevils Plushies on the Claw Machine.